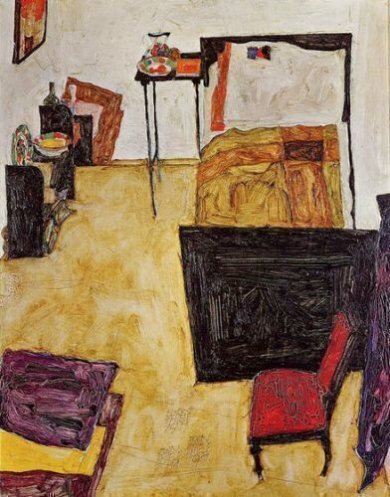 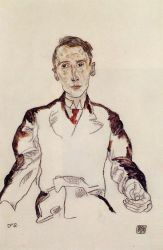 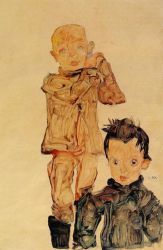 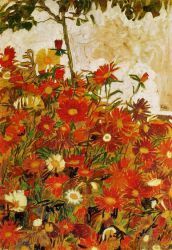 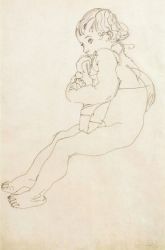 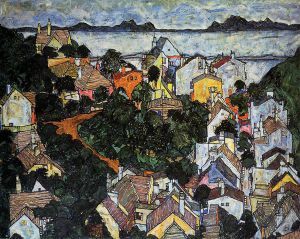 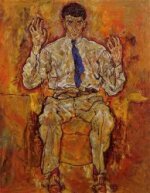 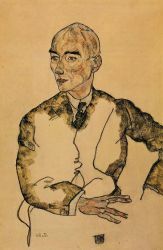 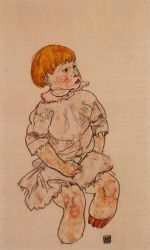 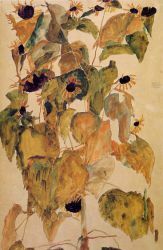 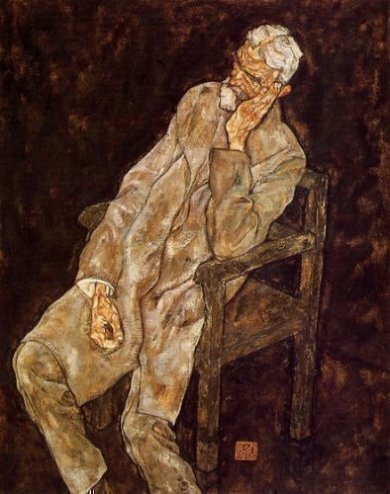 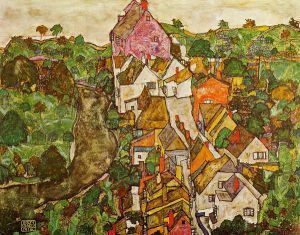 Egon Schiele (June 12, 1890 – October 31, 1918) (German pronunciation: [??i?l? 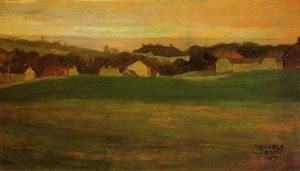 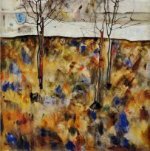 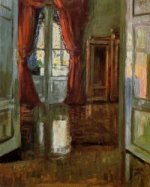 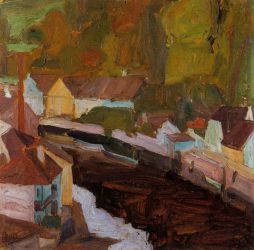 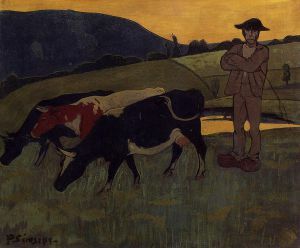 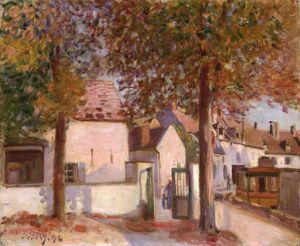 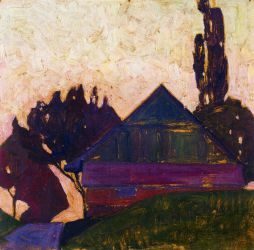 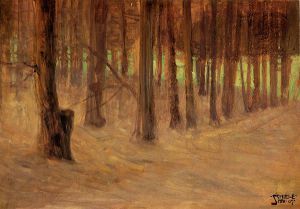 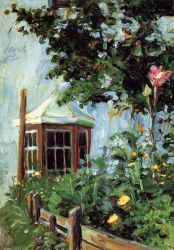 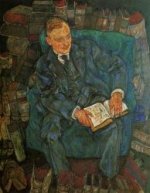 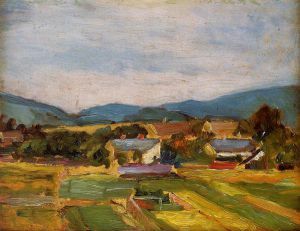 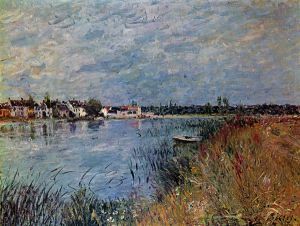 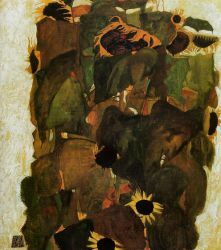 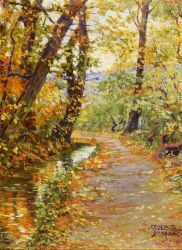 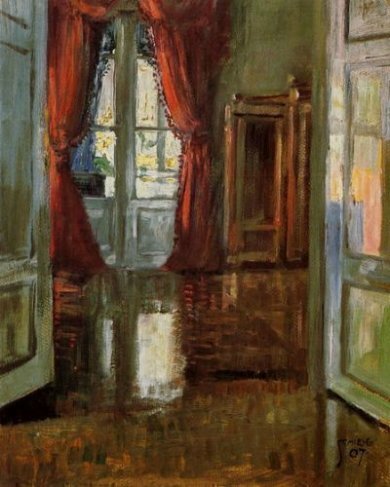 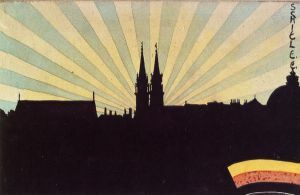 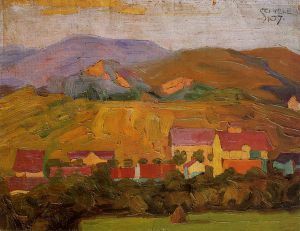 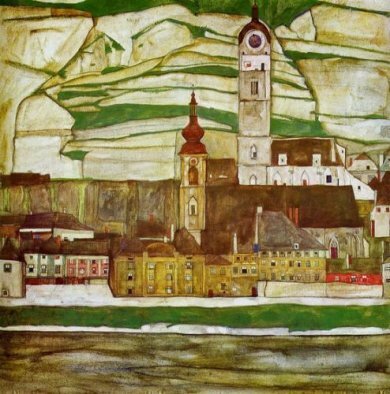 ], approximately SHEE-luh) was an Austrian painter. 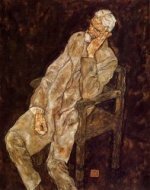 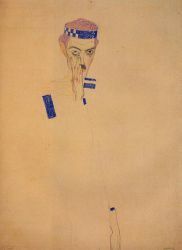 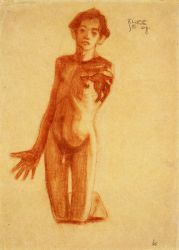 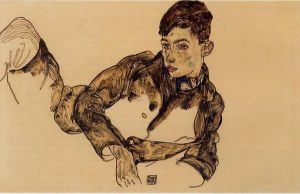 A protégé of Gustav Klimt, Schiele was a major figurative painter of the early 20th century. 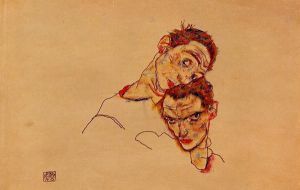 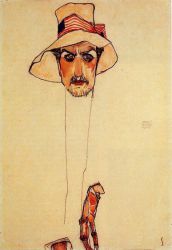 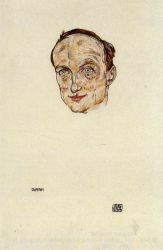 Schiele's work is noted for its intensity, and the many self-portraits the artist produced. 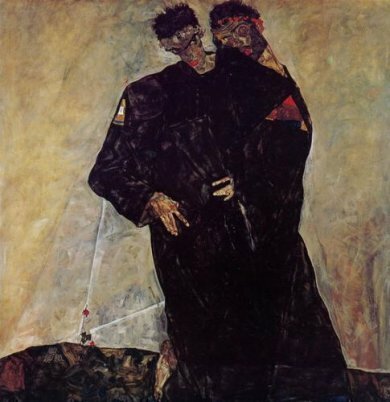 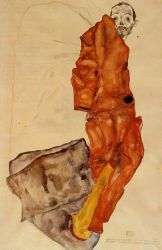 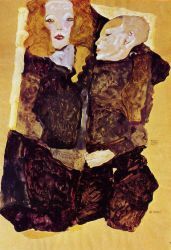 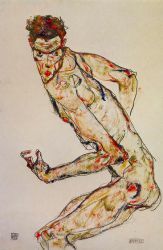 The twisted body shapes and the expressive line that characterize Schiele's paintings and drawings mark the artist as an early exponent of Expressionism, although still strongly associated with the art nouveau movement (Jugendstil). 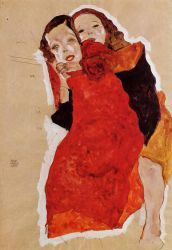 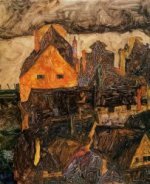 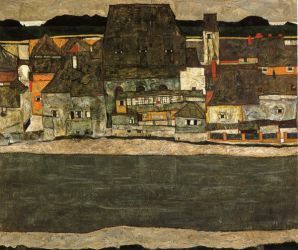 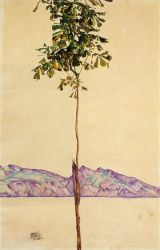 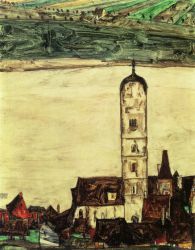 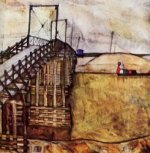 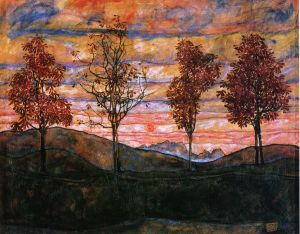 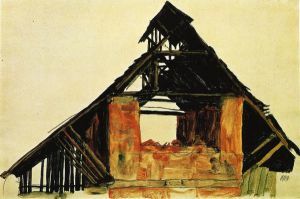 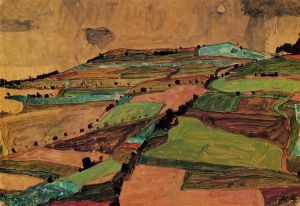 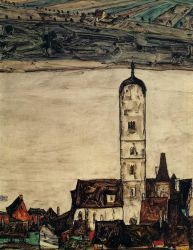 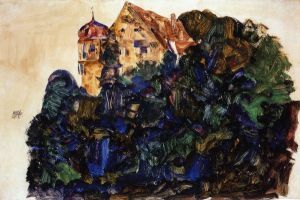 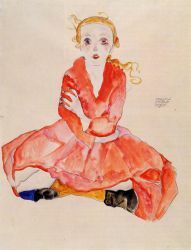 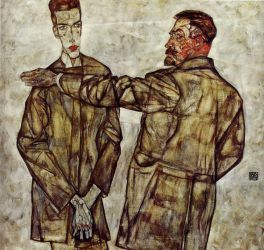 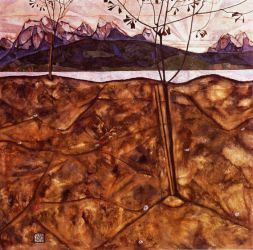 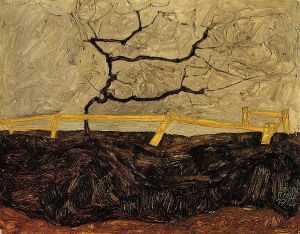 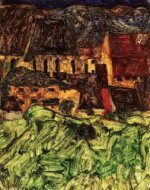 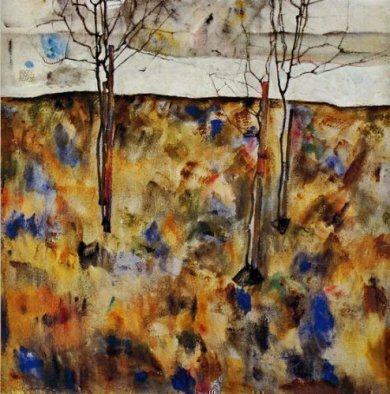 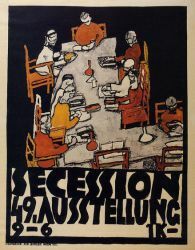 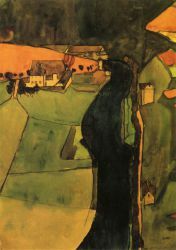 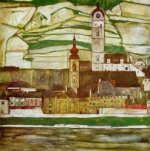 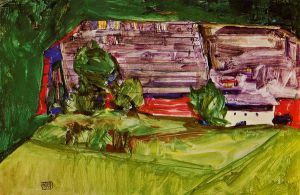 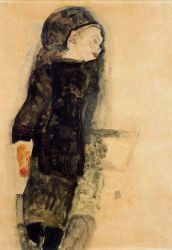 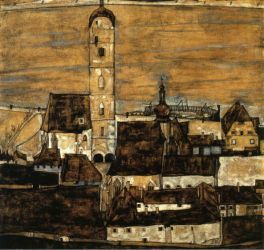 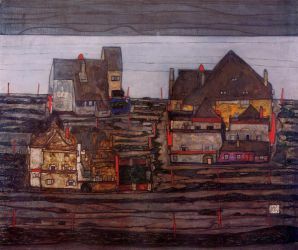 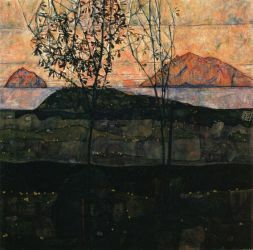 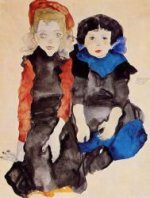 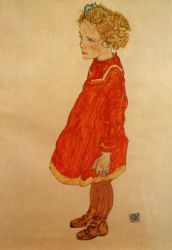 The most important collection of Schiele's work is housed in the Leopold Museum, Vienna.